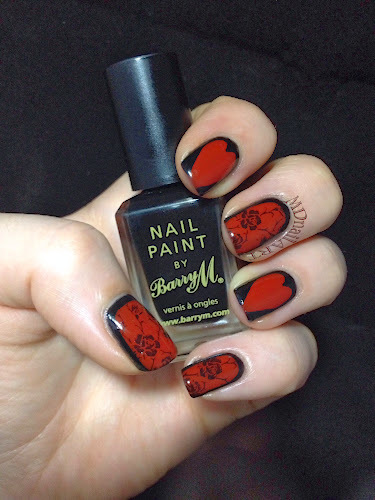 I was overwhelmed by the response I got on these nails on G+ last week. They were very simple to do, I just needed a steady hand and a great polish brush. The Rimmel Pro brushes are the best brushes I've ever had the pleasure of using. They are large, flat and perfectly rounded, ideal for this job. 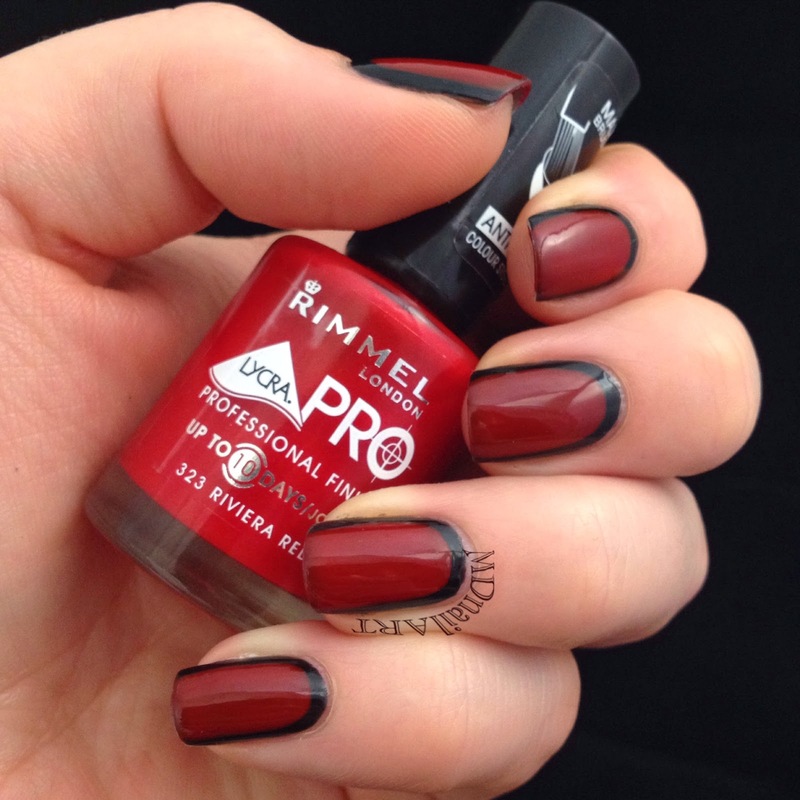 The picture shows me wearing Barry M, black, under Rimmel Pro, Riviera Red. I later added to this mani with some MoYou stamps and some freehand hearts, to keep up with the Valentine trend. But I was asked to upload a video, showing how I did this. being my first video, I'm so glad it was a super easy mani. On the video I used a much lighter shade instead of the red, so that you can see the contrast better.